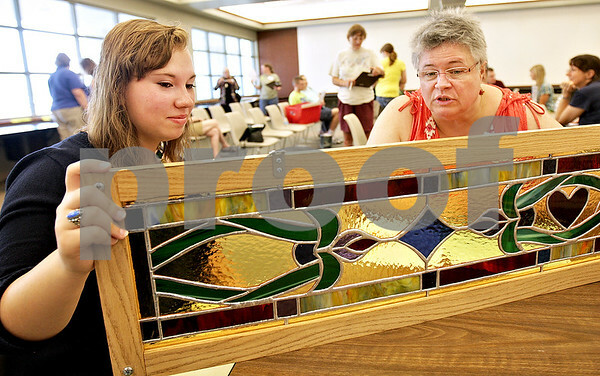 Jaylene Jennings, 18, a ten-year member of 4-H, has her stained glass piece judged by Julie Sorensen during the judging day at the DeKalb County Farm Bureau Wednesday, July 17, 2013. 4-H, an organization by the University of Illinois Extension, is for children ages 8 to 18, that stands for head, heart, health and hands. Children explore different paths of creativity, make projects and have them judged.